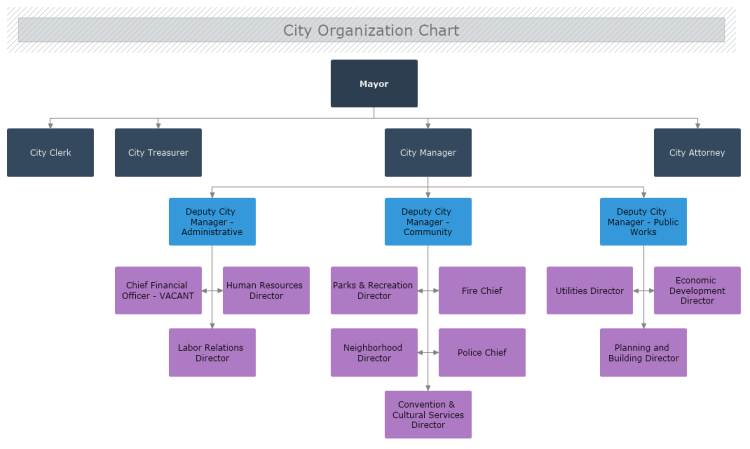 This template describes a very basic city organizational structure. It is presented in 4 hierarchical levels. In this example on top of the hierarchical city structure stands the mayor. Below him in the city structure are the city clerk, the city treasurer, the city attorney, and the city manager. Further down in this organizational chart are described only the leading positions that report to the city manager, along with their subordinates.